If you have ever tried to “find the best online sportsbook“ to bet at, you may have been a bit overwhelmed. There are so many options and so many players fighting for your attention. Spooky Express has dissected many of the active online sports betting websites and given them each a rating between A and F. Continue on to look at all of our “rated sportsbooks” along with a description of what goes into creating a “Spooky” rating. Fortunately, Spooky Express has done the research for you to let you know which sites are the best. Our recommendations are not for sale. We do independent research on all the sites listed here and always put the player first. Without doing proper research, bettors could end up depositing at a sportsbook that has a poor history with players, terrible odds or worst of all, one that is broke and slow-paying and not paying their players. Every one of our sportsbook ratings above are based on certain criteria. This rating system is setup to really “separate” the best sportsbooks from the worst sportsbooks. We take into account things such as: the financial status of each site, promptness on payouts, history of longevity of the site, bonuses available, and more! We will continue below talking about the intricacies that go into our sportsbook ratings. Hopefully, by the end of this article you have a better feel for what sportsbooks you can trust with your money. The online betting sites we advertise are ones with some operating history. We pride ourselves on open and honest reviews and trust you will feel confident with the sportsbook you choose after reading our ratings guide. This is probably the most important factor that is generally overlooked by a casual sports bettor. How is the company stability and financial status? You want to make sure you will get PAID when you win. If a sportsbook is struggling to pay out their customers, they do not deserve your business. We take this into account in our ratings. Nearly every sportsbook will offer a wide variety of bonuses to entice players to bet with them. There are several different types of bonuses such as: Sign Up bonuses, first deposit bonuses, reload bonuses, percentage of loss bonuses, free bet bonuses, no deposit bonuses and more. 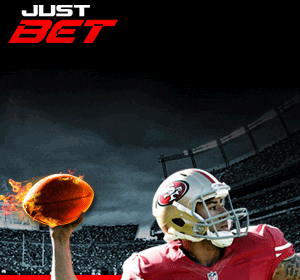 We evaluate each sportsbook and the bonuses they have to offer. These all help make up the overall rating we assign the sportsbook. You can read more about each type of sportsbook bonus here. Getting money into and out of your account is crucial when choosing an online sportsbook. Spooky Express believes that this process should be simple, seamless and safe! Some sites accept credit cards. Some accept bitcoin. Some involve high fees when you deposit and withdraw money. We take all of this into account when coming up with our sportsbook ratings. Just as important as “how” you can get your money out — is how quickly you can get your money out after you have won. Some companies have issues paying bettors within the time they specified. We don’t want to recommend those types of books. If a sportsbook is legit, they will advertise their payout timeframes and stick by them religiously. One of the most important criteria we examine at each sportsbook is how competitive their odds and lines are. Do they have early released lines? Do they offer reduced juice? Getting great odds can really add up in the long run. So finding a sportsbook that offers competitive odds is crucial. Mobile betting is becoming more and more popular as the years go on. How nice is it to bet from your smart phone or tablet? Some sportsbooks are behind the times and don’t offer a smooth mobile betting platform. Our top rated sites will have mobile betting available for players to enjoy. We all know how important a good customer service team is. If you have problems or questions — you expect your answer to come quick and accurate. Spooky Express is actively participating and monitoring in industry forums to gauge what sportsbook have a good reputation, and which ones don’t. People will talk about good and bad experiences. So knowing which online betting sites can deliver a high quality customer support experience is very important. We take into account how quickly they answer, what methods of contact they have available, and more. So there you have it. Those are the many criteria we use to come up with our sportsbook ratings above. As you can see, we spend time to ensure you have the best experience you possibly can when betting on sports. To learn more about each of the sportsbooks in our rating guide, click on the logo or link. This will bring you to a review of the individual sportsbook where we look at each of these items in more depth. So take some time, study the ratings guide above and determine which site is the best place for you to call “home”.